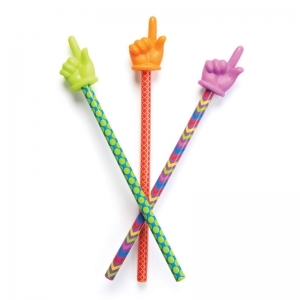 Three freshly designed hand pointers help add color and fun to the classroom. Bold colors and patterns capture attention and are easy to see against whiteboards. 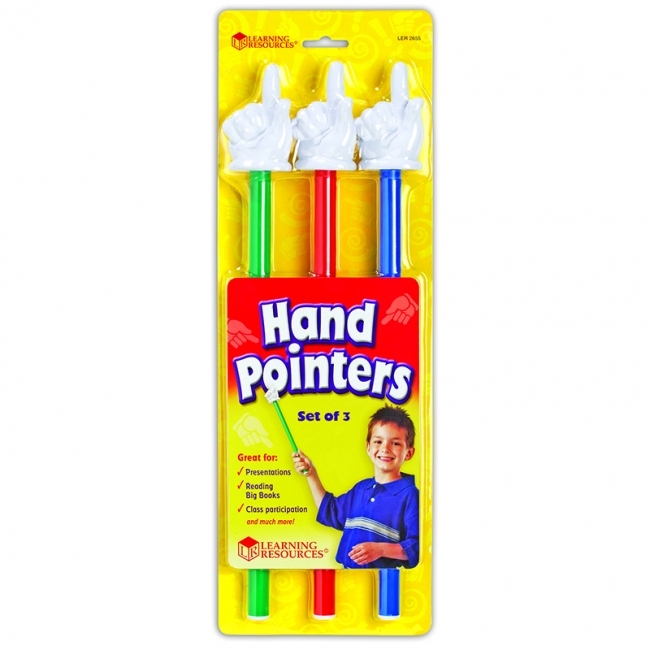 Each pointer features a different solid-colored top and patterned handle. 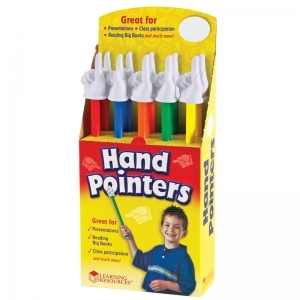 Each pointer measures 15"L.
Enough hand pointers for every classroom in the school! Perfect for staff thank yous or Teacher Appreciation Week gifts! Grab attention and encourage participation in any lesson. Pointers also reinforce fluency, vocabulary and comprehension by focusing on parts of text. Plastic displays clearly on overheads. 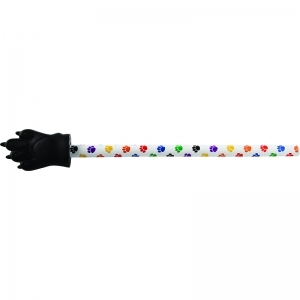 Each shatter-resistant pointer measure 11"L. Includes 100 pointers in red, blue, green and yellow. Whimsical pointers grab their attention and serve as a positive behavioral intervention. 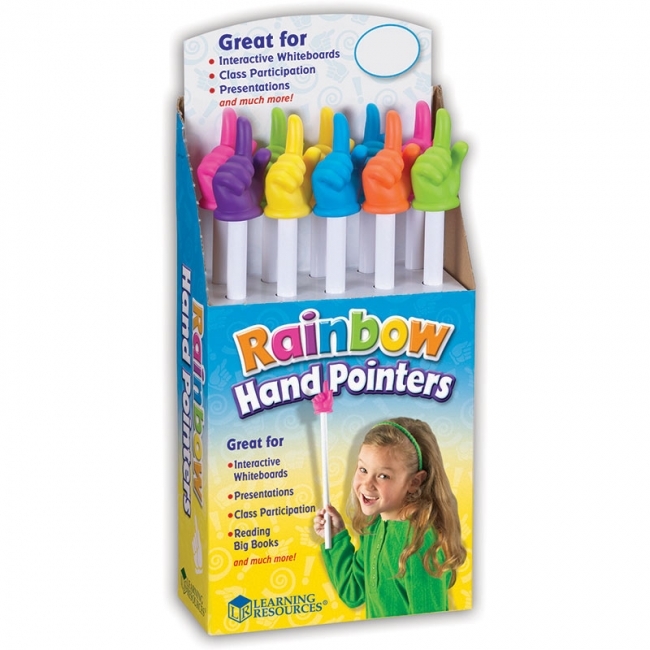 Colorful hands are easy to see against whiteboards and other light backgrounds. 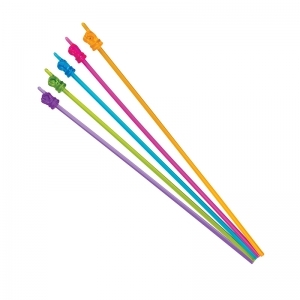 Colors include pink, yellow, blue, lime green, orange and purple. Reach as far as you need to with colorful, expanding pointers. Generate positive behavioral support and make all students eager to participate! Use with whiteboards, interactive whiteboards, pocket charts, maps and overheads. 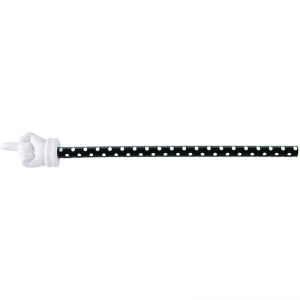 Measure 10½"—24". 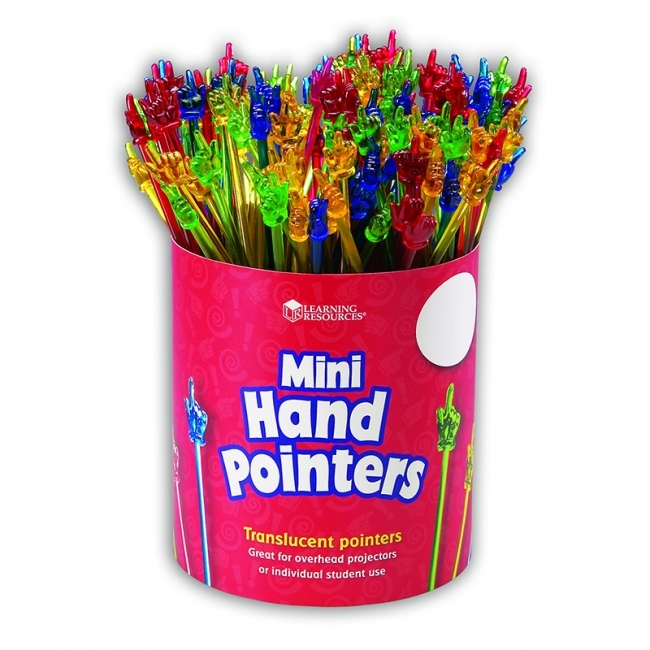 Great for imaginative play and classroom participation, children can play school, do board work, make pretend presentations and more with these 15" blue, green, and red pointers. The opportunities are endless! Also perfect for teachers to use during shared reading with our big books. Skills: Social & Behavioral, Cognitive: Receptive & Expressive Language, Gross Motor, Sensory Integration, Key points, Focuses attention when a child is asked to articulate words or syllables individually, Can be used by the teacher or child for practice in identifying specific items, (e.g. 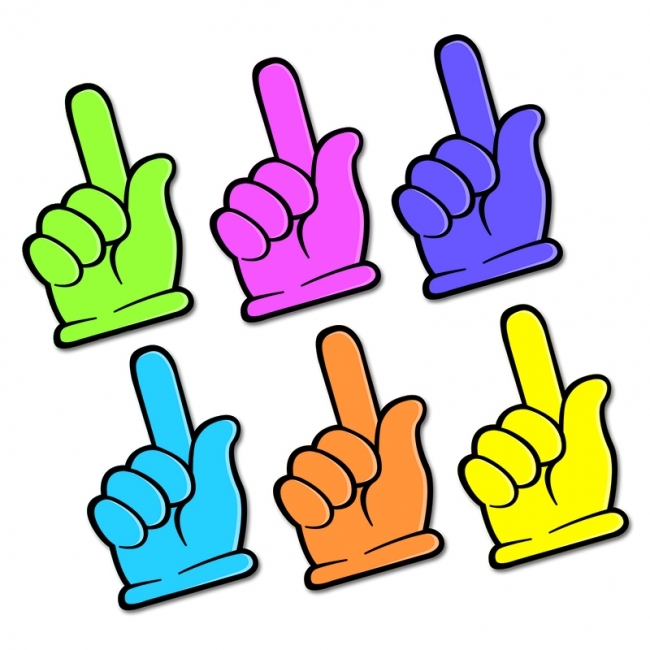 point to the verb in this sentence.") or pointing to letters, letter combinations, or numbers. Provides role-playing opportunities which help children acquire life skills, explore the world around them, develop abstract thinking skills, and build social skills. 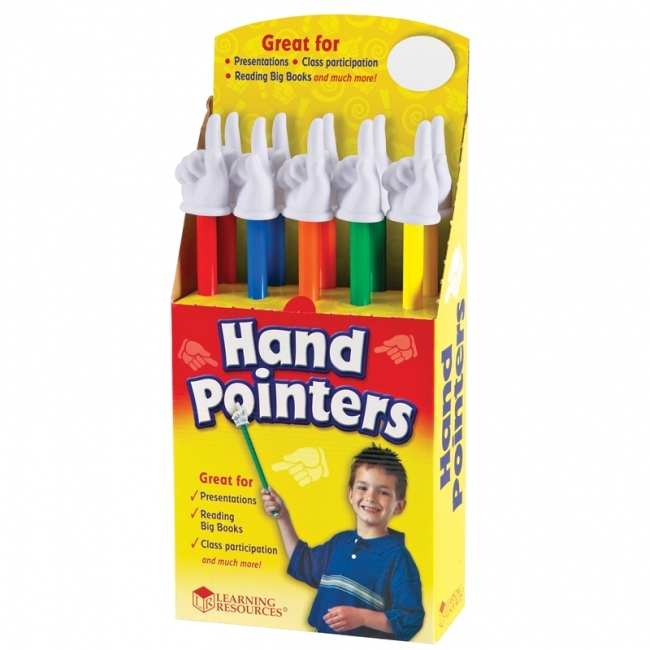 These popular pointers are a hit with kids and teachers alike! Whimsical and colorful, they can be used for presentations, classroom discussions, reading big books to the class and pretend play! 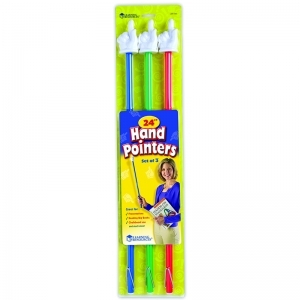 Set of 10 pointers includes two of each color: red, blue, green, yellow and orange. 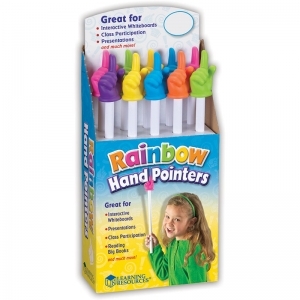 Colorful hand pointers are now 2-D and magnetic! 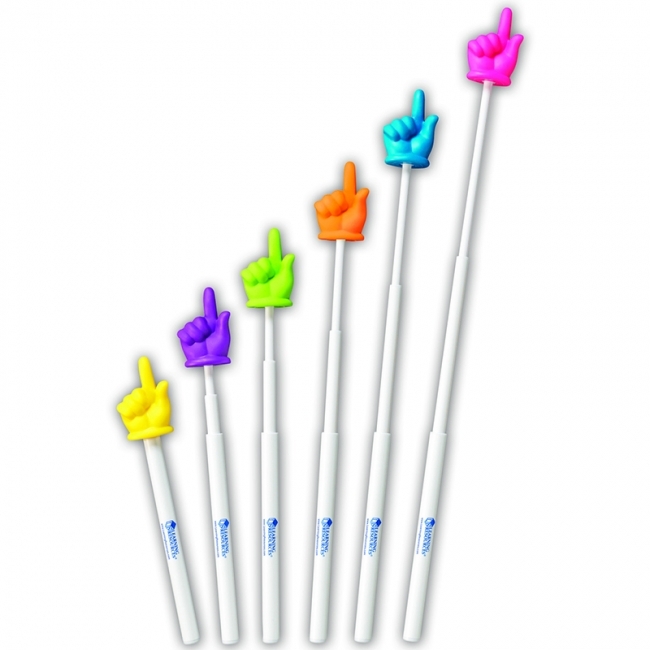 Large write-and-wipe pointers are perfect for labeling, tagging and displaying items on a whiteboard. 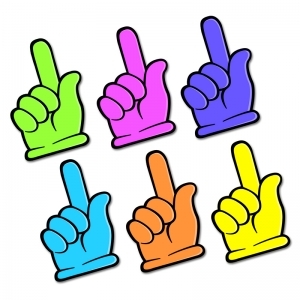 Each magnet measures 2¾" L x 4" H.
Give yourself and your students a hand. These 15-1/2" pointers helps you reach a little further. 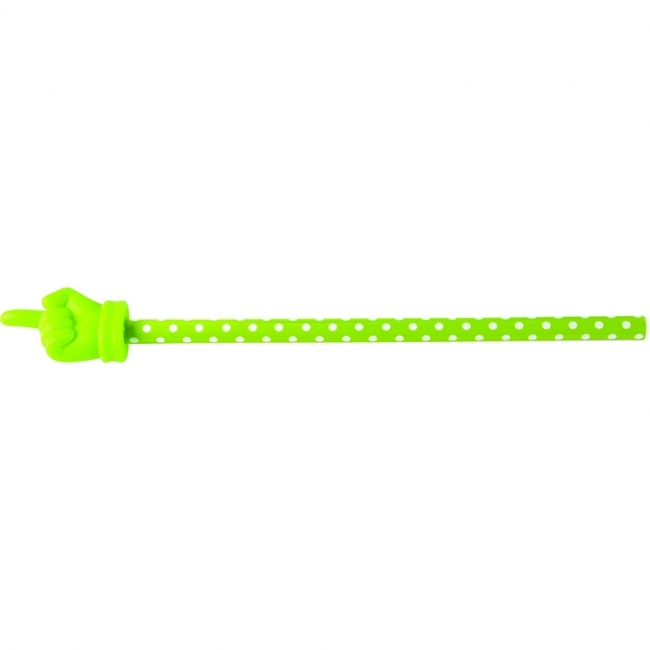 Use it to help students focus their attention and encourage active participation. These colorful mini pointers are a great tool to help focus attention when using a whiteboard, maps, pocket charts, or overheads. Hand them out to students to encourage active participation in a group setting or to help them focus on specific parts of text while reading. 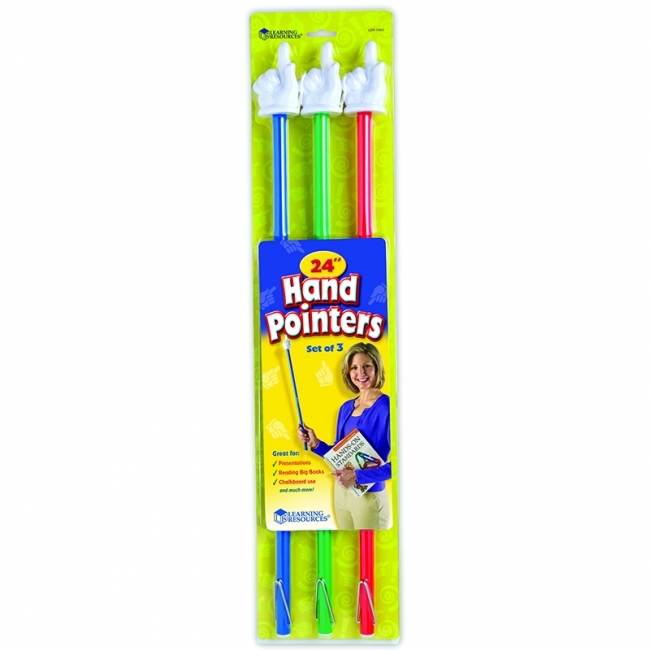 These pointers are made from a strong, durable plastic. 10 each of 5 colors, 50 total.